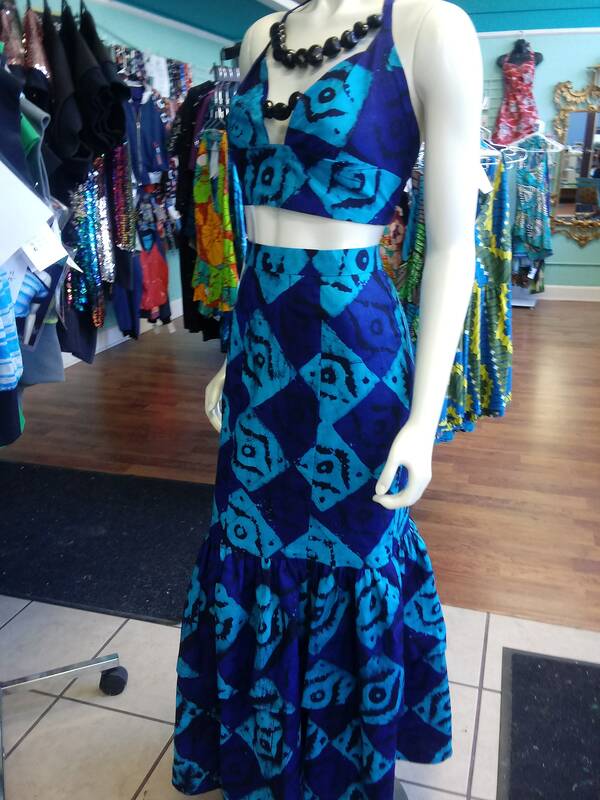 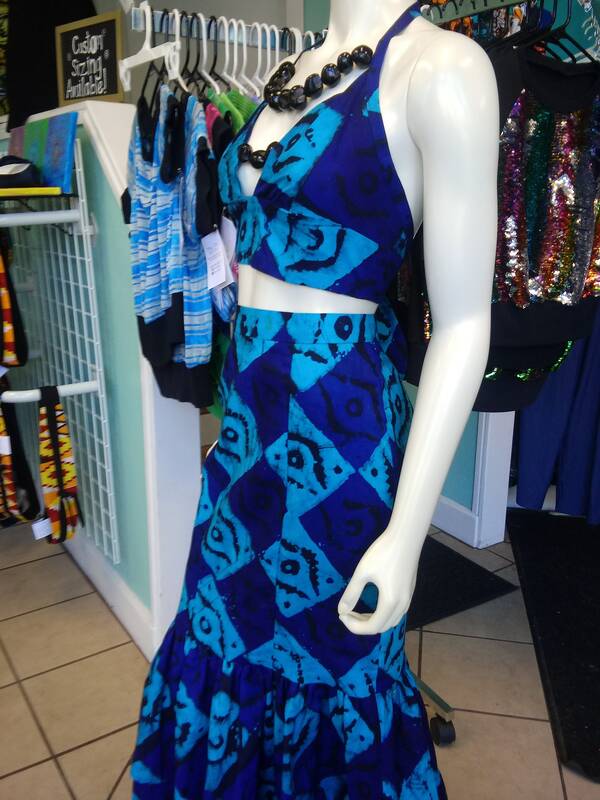 Make a statement in a 2-piece African batik dress, made from handmade batik from Ghana. 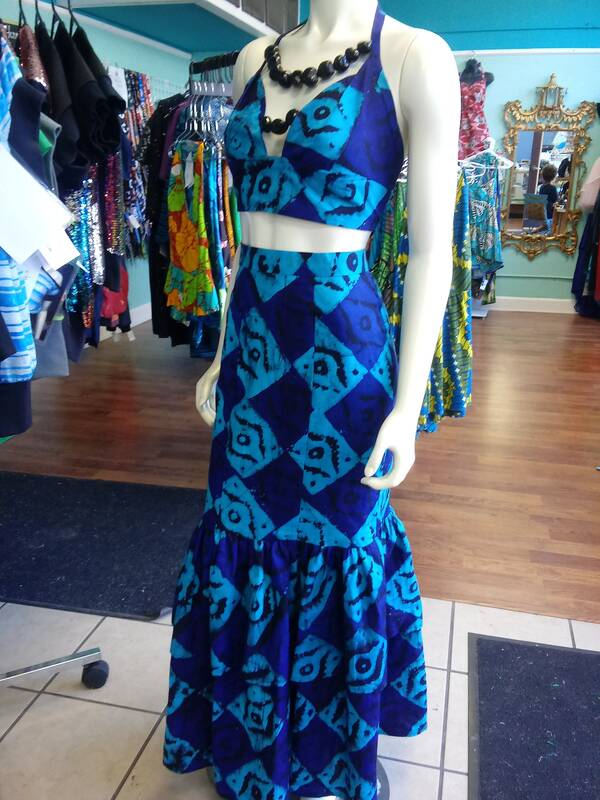 The stunner includes the halter midriff top with tie back, and attached Hawaiian kukui nut necklace. 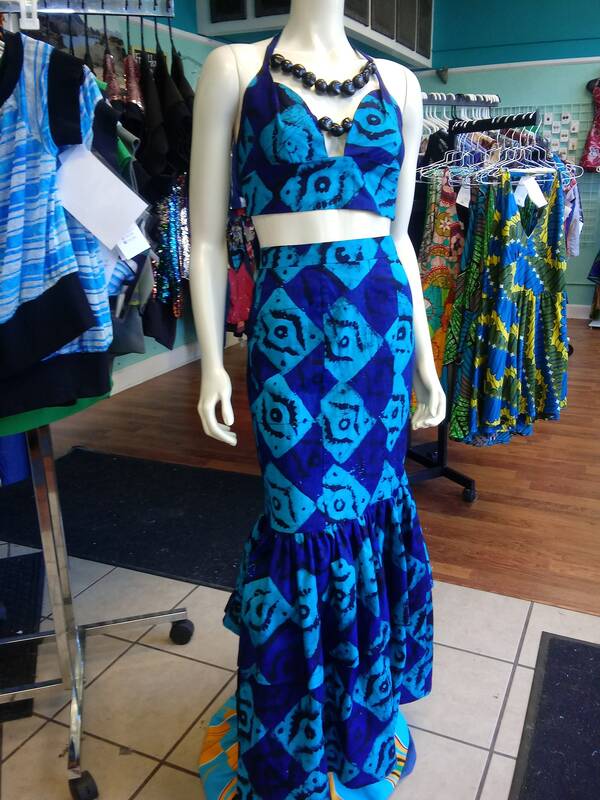 The skirt has a defined waist belt, fitted with princess seams, and 2 flared mermaid skirt ruffles in a floor length. 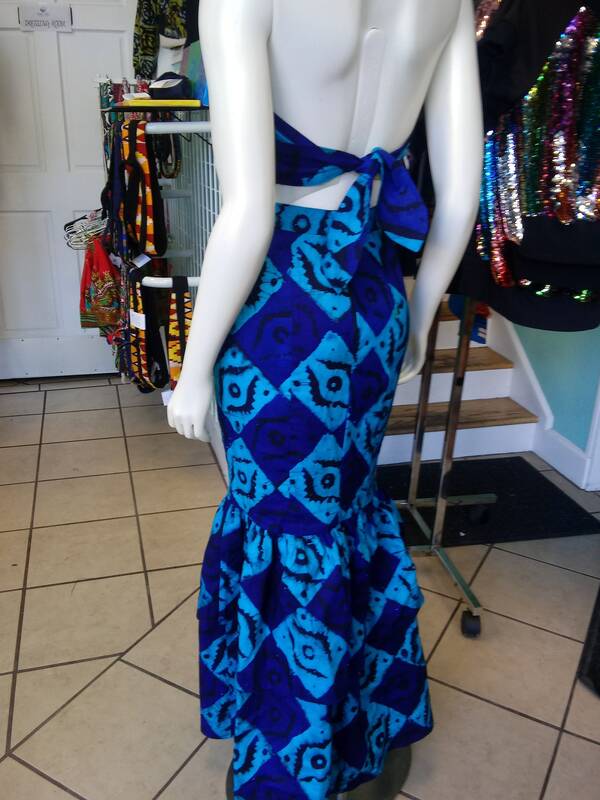 This glamorous Ankara dress will command attention at the resort or a summer soiree. 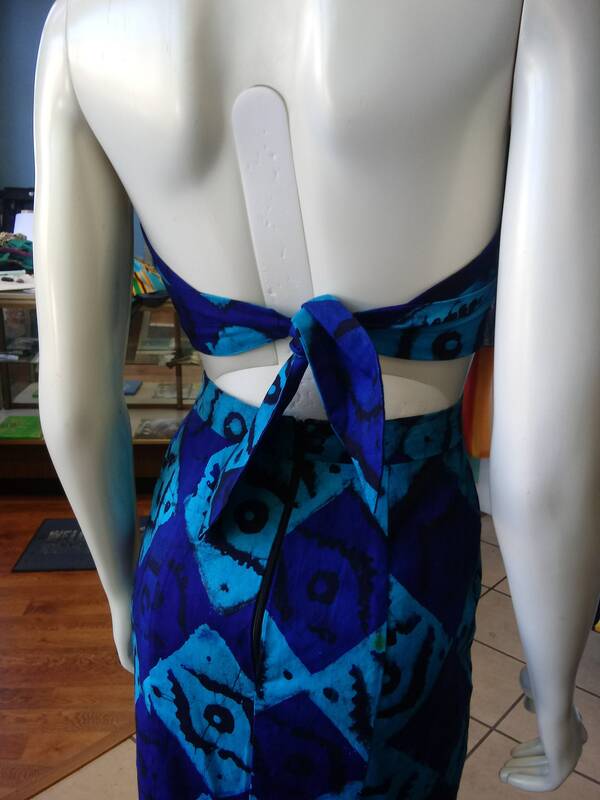 The dress is made to order, using your measurements, please provide bust/bra cup, waist, hip, and waist to floor measurements when ordering. 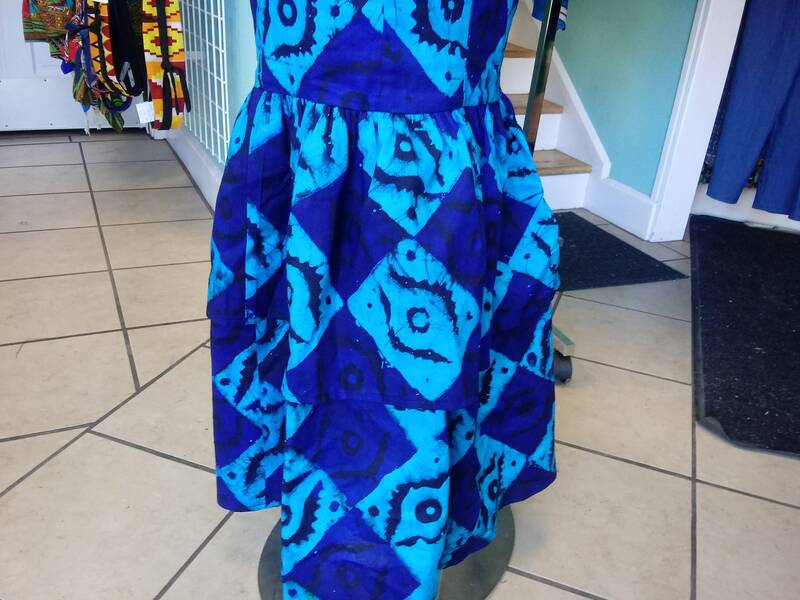 The gorgeous blue, teal, and black batik was handmade in Ghana, directly sourced by the dyer in Accra Art Market, and your purchase helps support the African artisan community. 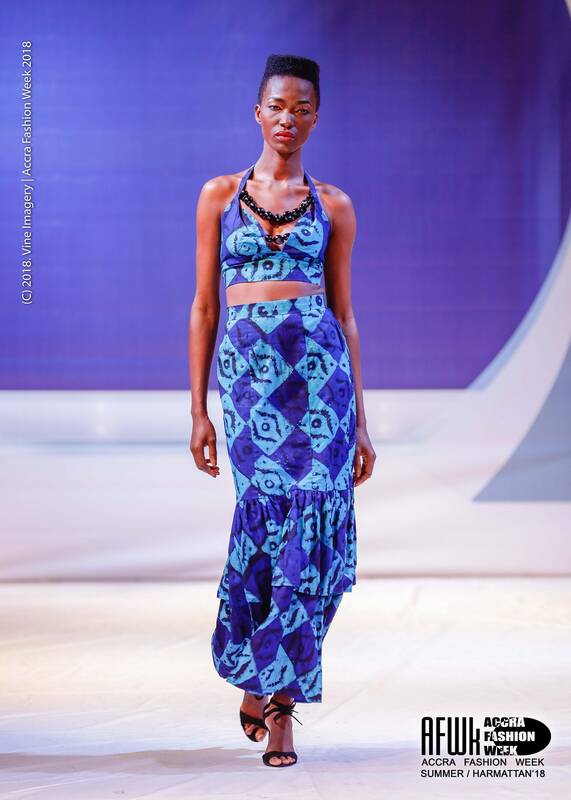 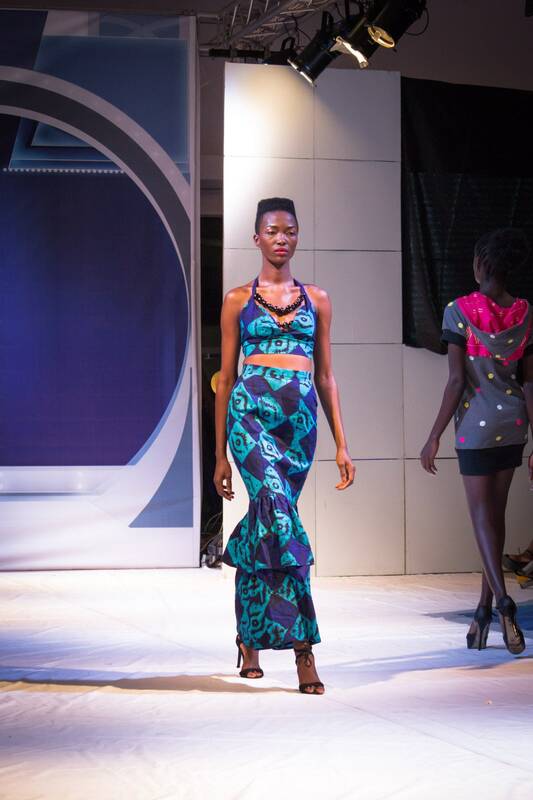 As seen on the runway during Accra Fashion Week, part of my Lagoon 2019 Spring Summer Collection.